I love many different type of shows, movies, dramas and music but mainly korean ones. My Bias KPOP groups are BIG BANG and FT. Island. 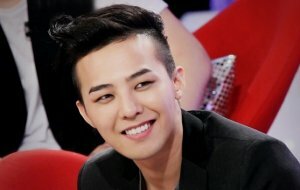 The solo artists that i'm a big fan ( love most) of are G-Dragon, Lee Seung Gi. My favourite MC forever is Yoo Jae Suk. My Most beloved actors are (well, there are too many but i'll name a few ( they are not in any order)Lee Seung Gi, Kim Soo Hyun, , Lee Min Ho,Song Yoo Ah In,Joo Won,Joong Ki, Park Shi Hoo, Lee Hong ki, Lee Jun Ki, Hyun Bin, Joo Sang Wook, Lee Dong Wook, Choi Jin Hyuk and Woo Bin. The actresses that i love are Bae Suzy, Han Hyo Joo, Ha Ji Won,Moon Chae Won, Lee Min Jung, Shin Min AH, Jun Ji Hyun,Song Ji Hyo, Park Shin Hye, IU, YoonA and Han Ga In. My Favourite variety shows are Running Man and The return of super man. I like many more things but can't say them all 'cause it might take you guyz years to read it all so yeah. I'd like to make many more new friends so you'll always be welcome to send friend requests !